Can Liberty Reserve's case be a red alert for Bitcoin? 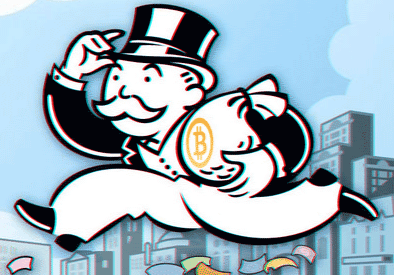 You are at:Home»News»Can Liberty Reserve’s case be a red alert for Bitcoin? Can Liberty Reserve’s case be a red alert for Bitcoin? As you already know, the exchange platform Liberty Reserve was recently shut down by the USA federal authorities due to alleged criminal transactions and money laundering (we talked about it here). However, can this be the end of Liberty Reserve, but also a huge red alert for the entire Bitcoin system? Maybe. We saw this article today and it got us thinking. It’s inevitable that some things are going to change for the potential cryptocurrency users. For one side, Bitcoin was still recovering from the latest happenings – the crazy fluctuation of value that happened when the Cyprus crisis was revealed and the recent problems with Mt. Gox, the biggest cryptocurrency exchange service in the world – and, for another, these last weeks were being really good for the digital coin. The value was relatively stable and, every day, new online pages were starting to accept Bitcoin. This new episode of “Cops: Bitcoin Investigation” is definitely going to create doubts in a lot of people. However, it’s still good to know that the authorities are paying attention to the illegal actions being committed online. But, going back to Liberty Reserve’s case, what’s going to happen with the 200,000 customers the platform had in the USA? We’re asking this because the platform wasn’t registered as a money service and, now, there are worried individuals and companies who actually ran legitimate businesses through Liberty Reserve. Take the example of a virtual credit card company interviewed by the BBC, which can lose $28,000 in Bitcoin. So, what is the lesson we can take from here? If you’re about to go into the Bitcoin world, it’s essential to verify if your virtual currency vendor is properly registered with the USA Treasury. Find out what you need to know on this page and make sure your platform of choice is registered as a money services business.